This is a precipitation forecast that more resembles April than late June. 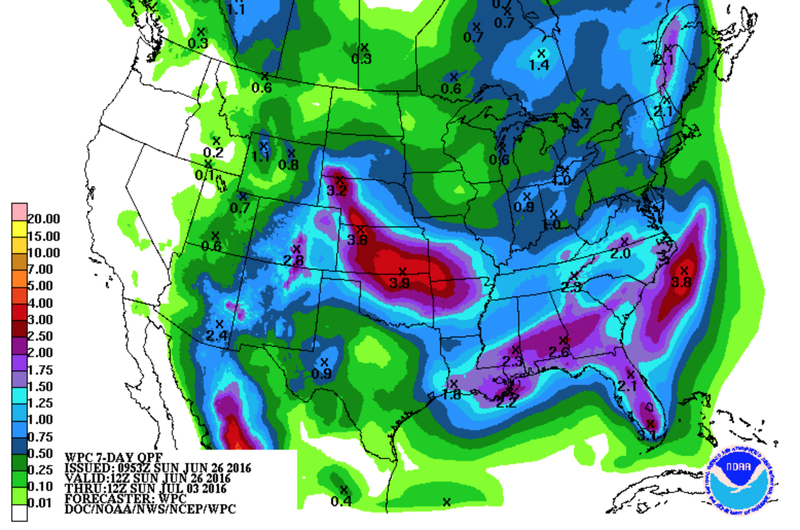 Heavy rains forecast over the central United States with moderate rain in the south. Meanwhile, the northern states -- which often have heavy rain in late June -- are expected to have somewhat lighter rainfalls.